Florida has one of the most expansive bodies of law covering gun ownership and possession of any state. Many of Florida’s laws are geared towards protecting your right to own and carry your firearm. Amidst a major gun controversy, Florida has enacted Fla. Stat. § 790.335, which makes it a felony to create, maintain, or publish any list, record or registry of legally owned firearms or law abiding firearm owners. This law was created to ensure that responsible gun owners who have lawfully exercised their Second Amendment right would not be subject to communal scrutiny or even possibly targeted for burglary. When Do Florida’s Gun Laws Allow You To Carry A Firearm? Not only does Florida protect your right to own a firearm, Florida is also very liberal when it comes to the issuance of concealed weapons licenses. If you meet the criteria laid out in Fla. Stat. § 790.06, the issuing body may not deny your application. Some of the minimum criteria stated in § 790.06 is that: you be a resident of Florida, be over the age of 21 (unless an exception applies), you have not been convicted of a felony, you are not determined to have a drug or alcohol abuse problem and you demonstrate the desire to carry a weapon for self defense. Once the concealed weapons permit has been issued, you must carry the concealed weapon permit along with government issued ID at all times while you are conceal carrying a weapon. Failure to keep the concealed weapons and proper Identification, you may be subject to a non-criminal $25.00 ticket. Do you Have to Disclose to an Officer that you are in Possession of a Firearm? Florida’s gun laws do not permit a person to openly carry a weapon unless they are hunting, fishing, camping, or while traveling to or from those activities. Florida law also does not require you to disclose that you are in possession of a firearm upon having contact with a law enforcement officer. Despite many people’s belief, if you are in possession of a firearm in your vehicle, the firearm must only be “securely encased” or not available for immediate possession. It is satisfactory that your weapon be inside the glove compartment whether or not it is locked. Although business owners are generally given autonomy in how they run their respective business, Florida has passed Fla. Stat. § 790.251, which impacts an employer’s right to restrict employees from exercising their right to carry a weapon. Under this legislation, most businesses cannot fire an employee in a company for keeping a legal firearm locked in his or her vehicle in the company parking lot. This was passed in order to protect the employee’s Second Amendment right while commuting to and from the workplace. 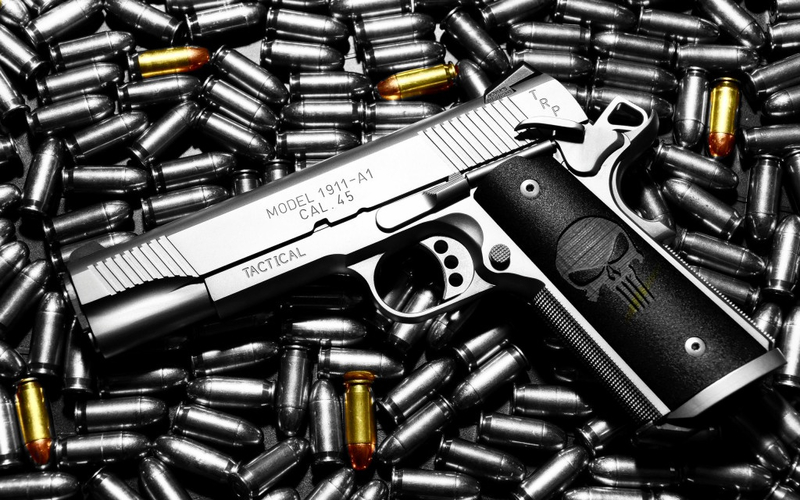 The topic of firearm possession is undoubtedly a sensitive subject in today’s society. If you have been arrested or charged with a crime relating to firearms, call Broward criminal lawyer, Kenneth Padowitz, to schedule a free consultation. Kenneth Padowitz, P.A. aggressively handles all State and Federal criminal charges. Contact our law firm online or call 954-761-3888, day or night, to discuss your situation with our criminal attorney. Our Fort Lauderdale criminal attorney will strategically develop a defense designed personally for you and your situation. Kenneth Padowitz, P.A. represents clients throughout Broward County and all of South Florida, including: Fort Lauderdale, Miami, Palm Beach, Boca Raton, Weston, Hollywood, Davie, Parkland, Cooper City, and Coral Springs.